As I mentioned last week, there's a lot to say about ingredient selection. I'll continue to hold my 17-page thesis at arm's length and protect you from that mountain of analysis for a while longer. Instead, I'll give you a couple simple guidelines that I realized I've been using for many, many years. Develop Favorite Brands. By using the same product or manufacturers products repeatedly, you can introduce consistency and control into your cooking, so that other parts of the dish are what vary (think rice, pasta or other staples here). Even if there might be a better, more expensive, more exotic, more perfect ingredient out there, in each category of ingredients determine you favorites instead of being random. My real life example: bread flour. King Arthur Bread flour is my favorite. However HEB's Bakers Pride (granted a regional brand) is almost identical at a significantly lower price). Yet, HEB's Hill Country Fare brand of bread flour is not recommended at all. I've done side-by-side taste tests, more than once to determine this. Experiment and Don't Just Stick to Your Favorites. Boy I love doing this food writing deal. OF COURSE the opposite of almost any advice is also true. Experiment, try new brands, try new products. You just never know. Also, some ingredients change over time. They might be a great value, then get more expensive. Or quality could wane. Or a strong competitor could come along. Or your priorities could change. Just keep your experimentation and favorite brand development efforts separate for a while. Use both approaches. Experiment. Find favorite. Use favorite. Use more of favorite. Experiment again. 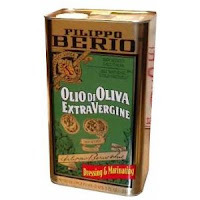 My real life example: I used to use Filipo Berio olive oil exclusively, even for routine browning and so on. But over time I found it to be middle of the road. It's still a good value, workhorse product. But I use a number of different higher end oils for more flavor. In fact, lately I've been using so many different brands I don't want to recommend one......however....consider 'unfiltered' olive oils and also look for olive oil from Spain - good values, great flavors. I also don't use olive oil for routine browning / sauteeing (unless it's something subtle like spinach). Rather, I use peanut oil, sometimes canola oil. 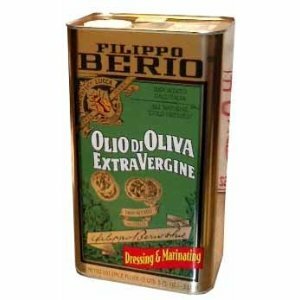 There is no taste difference added by browning meats in olive oil. OK - one last idea for now. BTW - those leeks were pulled from my garden this morning, but I'm just bragging to say that. Not important, and it took a year for them to grow that big. Not much of a future for me in leek farming. I want to share a little with you about using fresh and high quality ingredients. But compared to discussing and sharing good recipes, teaching some techniques for prepping and cooking, or recommending pots, pans and specialty cooking tools, ingredient selection is HARD. And there's a lot to say. So I'm (temporarily) throwing away my two and a half page outline of how to select good ingredients (classified into produce, proteins, staples and specialty items). Instead, let me tell a few stories and we'll pick up the syllabus a little more slowly over time. I think I began cooking "seriously" over 30 years ago. The dish I recall as a turning point was a broccoli/pasta salad for a friend's family picnic. It wasn't a special recipe, but it was MY dish. And not a lot of 18 year olds bring home-cooked dishes to someone else's 4th of July party. I'll admit there could have been an ulterior motive involving my friend's sister Becky, but I think she was too young at that time and my crush really developed a few years later. The recipe for that suburban standard was wholly forgettable, I'm sure; broccoli, pasta, some sort of semi-homemade salad dressing, and probably something exotic like a red bell pepper. Despite the lack of sophistication in recipe design, this dish still had the chance of being a picnic showcase. IF the broccoli were very fresh and well cooked; IF the pasta was a brand that contained semolina flour and was not overcooked; IF the proportion of other ingredients was well composed and created a pleasant balance. However, if the broccoli was tasteless or the pasta was of a brand from which the only obtainable taste was starchy and gummy, even a world class picnic recipe (if there is such a thing) would fail. And so would my chances with Becky (or was it Amy?). If you don't use fresh, high quality ingredients your recipe and technique can only make up a little ground. You're not likely to succeed otherwise. I'll give you a more current example. Last night we had a simple Family Sandwich Night. At my house, this involved making fresh bread and generally taking things too far, thus compromising the concept of "simple family sandwich night". We had muffalettas with olive spread from the Central Grocery in New Orleans, on the aforementioned freshly baked bread. But I also made an exceedingly traditional Cole Slaw, from a classic recipe I found in the Essential New York Times Cookbook .This is rare for me. 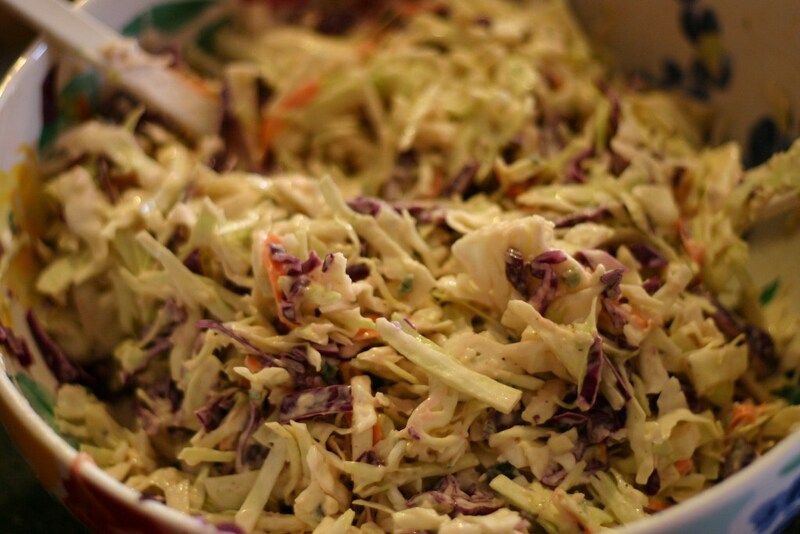 Usually slaw is made with Napa Cabbage, or is a zesty mix of non-traditional ingredients. This slaw was excellent, yet not because it's a classic recipe (which it is, frankly, it's an exceptional version of a slaw recipe). Rather the secret was that every ingredient that went into this everyday, made-across-America dish was very fresh and carefully chosen. And I'm talking Cole Slaw here. It's a couple days after St. Patrick's Day. Even in Houston there's plenty of fresh (I mean really, really fresh) cabbage on hand at bargain prices. Green pepper is used in a small quantity in the dressing mix, almost pureed, with green apple. I used an exceedingly beautiful poblano and a very crisp Granny Smith. My bottle of apple cider vinegar is NOT 2-3 years old (sassy children help account for that, if you know what I'm referring to). My spices are freshly obtained from a bulk provider, not stale seeds and powders that sit in grocery store warehouses for years. The small amount of shredded carrot is organic (not always a formula for great taste, but I find organic carrots to be invaluable). 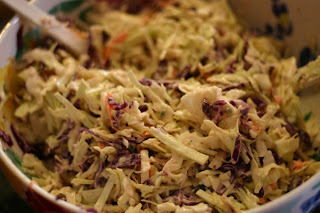 So why all the fuss and blatant bragging about cole slaw? Because there are alternatives. Buy a package of pre-shredded cole slaw - at 5 or 10 times the price of cabbage. Add a few globs of jarred coleslaw dressing - again, at an exorbitant price. Be sure to read the ingredient list on the jar - you'll surely find some chemicals you'd prefer to not be in your body, if you were to think about it. Maybe add a few shakes of celery salt, or fresh cilantro, or some other "twist" to make it your own. (Tom.....careful, you're treading on thin ice now.....almost mocking the creativity of people who want to make their coleslaw into "their own version"....don't offend). Or worse, buy some really inexpensive coleslaw in a plastic tub from the deli section. Sure, you could do those things, but you wouldn't be a better cook if you did. And you wouldn't have had a sublime coleslaw. And if you DID grab that NYT recipe and made it, you MIGHT have an 8 year old who asked if she could have that for her school lunch the next day, along with a slab or two of that fresh bread. To me, that's why it's worth trying to be a better cook. Ingredient selection......possibly the most important aspect of all. We'll talk some more. PS - I didn't make homemade mayonnaise for the slaw. But, boy, that would have made it insanely good. Grill Smoked Shellfish with Lime Viniagrette - backup one post !! Apologies - once in a while I fumble finger my keyboard, and it caused this post to go out midstream. Sorry if it caught you, especially on Kindle. If you got the incomplete version, back up on your RSS reader or Kindle and the full article should appear. But before we get to that, here's a super quick and easy recipe to get the grilling season off the ground. Just make sure that you get good fresh shellfish - and the easiest way to do that (if you're not already an expert) is to use a dedicate fishmonger. Next best, the fish counter at a high(er) end grocery like Whole Foods or a local/regional specialty market. Worst case, ask the guy at your supermarket what's freshest. Soak one cup of wood chips in water for 20-30 minutes, while grill heats. Add chips to a smoking basket or wrap in aluminum foil and pierce with a fork several times. If using foil wrapped, place chip package directly on hot coals. Replace the grill grate. Dump about 1/3 of the seafood directly on the grill, and cover with a large stainless steel bowl (or a big tent to foil would work too). You want to trap the smoke and heat inside. Cook for about 3 minutes, until shells open and shrimp is barely cooked. Remove cooked fish and repeat for other two thirds of fish. Combine lime zest, juice, pepper flakes, herbs (I used fennel tops and mint). Add olive oil at 2-3 times the amount of lime juice. Add salt and pepper, then toss with fish. Serving suggestion - make triple the viniagrette, toss it with very small pasta like orzo, acini de pepe or stellina. Use shells from mussels and clams as a makeshift scoop / spoon to eat the pasta. 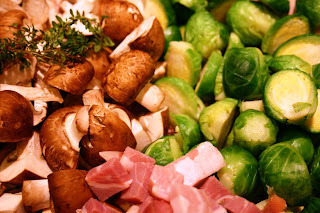 I'm beginning to wrap up the theme of the past month or so that focuses on my advice to "Use Good Recipes from Reliable Sources" You may have seen this recipe last year, when I published an article titled "My Friend Jennifer Wouldn't Eat This Dish". Luckily the dish she wouldn't eat was something from Bon Appetit magazine not mine. This recipe was the antidote to the mess that BA created for Jenn's family. The key to this recipe is that there's nothing complicated about it. However, it takes one step in the next direction I'll focus on for the next month or two - ingredient selection. Notice that there is a very specific recommendation on sundried tomatoes in the recipe below. Also, it calls for shallot, not onion. If you were to use a little bit of onion it would turn out....OK. But shallot is an important part of this dish, and a very important ingredient for better cooking. I shouldn't get too far ahead of myself here......the ingredient discussion will start in earnest start next week. Enjoy this dish as winter gives way to spring. Batali's Porcini Rubbed Ribeye - Best Steak Ever? When I saw this recipe in Mario Batali's Babbo Cookbook I was a little more impressed with his call for 2-inch thick ribeyes than I was the seasoning choices. I also was dismayed to see the instruction calling for wrapping the crusted steaks in plastic and letting them sit overnight in the fridge. I was going to eat steak an hour or two later no matter what. 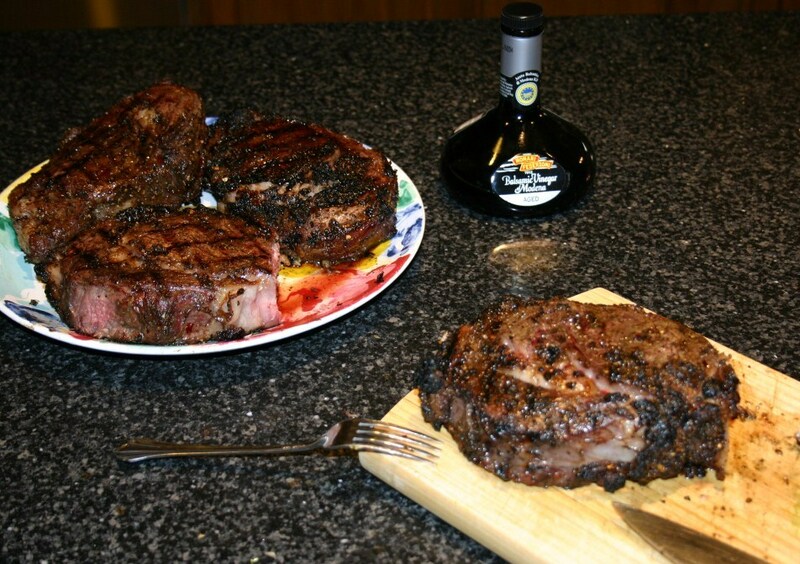 I created the rub, slathered it on two steaks and stored one in the fridge for the next day. cooked the other after about an hour of marinating time. A side-by-side comparison would be interesting. The result? AMAZING. The sugars, garlic and spiciness were out of this world. The flavor of the dried porcinis came through nicely. It was, perhaps, the best steak I'd ever made. Only there were two things I didn't do. The first batch of steak didn't sit overnight, nor did I use a 2 inch thick steak that first time around. As for thing 1: The next day I opened the refrigerator and immediately was punched in the face with the earthy smell of porcini. The second batch of steaks was remarkably better than the first. Noticeably better, remarkably better, no doubt - even better. As to thing 2: Would two inch steaks make a difference? A few weeks later there was a sale on boneless ribeye, so I had the guy at the meat counter cut four 2-inch thick steaks. 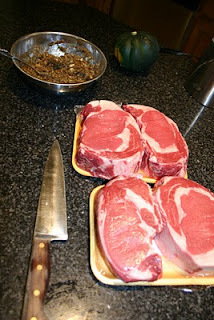 See above how they dwarf my big chef's knife? Side note - By the third time I made this dish I ran out of porcini and tried dried shitake. Don't bother. If you don't have dried porcinis to grind up, just use the rest of the ingredients and reduce the olive oil by a tablespoon. - In Houston, the Specs Liquor downtown superstore has good quality dried porcinis at a fair price. Grind dried porcinis in a spice grinder or coffee grinder. use the grinder for whole black peppercorns separately. Add all remaining ingredients and combine. Spread the rub evenly on all sides of the steak(s). Wrap tightly in plastic wrap and refrigerate overnight or for 24 hours. Grill the steak over high heat for 5 minutes per side, including standing the steak on edges - about 20 minutes total cooking. You can / should use an instant read thermometer to measure internal temperature - get to 125 for medium rare. Let steak rest for 10 minutes after cooking. Serve with a drizzle of good quality balsamic vinegar. I encourage you to buy the Babbo Cookbook . Some dishes are involved and excotic. But as you can tell from this recipe, some are out of this world, and not too difficult at all.